The Hawk Migration Association of North America (HMANA) is a membership-based organization committed to the conservation of raptors, particularly the study of raptor migration patterns. The HMANA site features photographs and migration and natural history information on North American raptors by species, including a downloadable identification guide; an interactive map showing the locations of hawk watch sites, with site profiles and count data; and news articles and announcements. 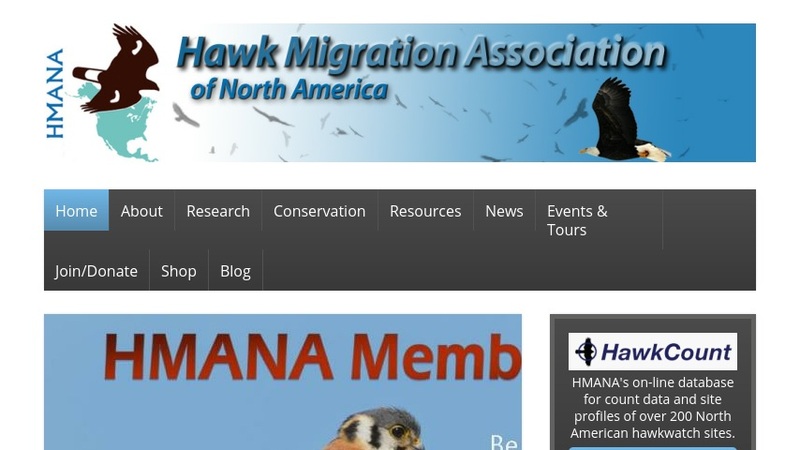 HMANA maintains a listserv and publishes Hawk Migration Studies, received biannually by HMANA members.